LUCENT whitens your skin, reverses aging & optimises skin health. 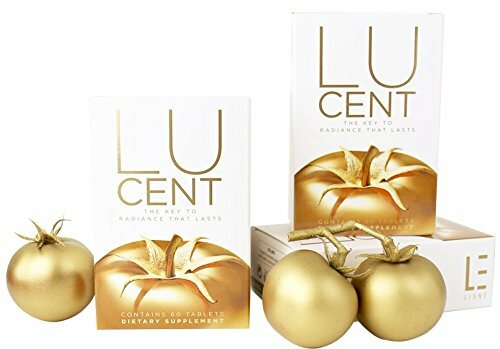 With a first-of-its-kind concentration of 100% natural ingredients in one tablet, LUCENT unlocks the power of nature for healthier, more luminous skin. Because real beauty isn't merely skin deep, LUCENT penetrates below your skin's surface to transform your skin from the inside out for a bright, healthy glow that won't easily fade. PhytoflORAL®'s key components are the colourless carotenoids (CLCs) phytoene & phytofluene. Extracted from specially cultivated non-genetically modified tomatoes through a patented process, CLCs are extremely nutrient-rich with strong whitening & photo-protecting power. Colourless carotenoids collect mainly in the skin & absorb harmful UVA & UVB rays, helping to prevent the skin from darkening. Phytoene & phytofluene not only inhibit melanin synthesis-the main cause of pigmentation-but reduces existing pigmentation in the skin, & has anti-inflammatory effects that prevent further darkening & tanning. Phytoene & phytofluene are also antioxidants that can counteract the damaging effects of sun exposure by neutralising free radicals, promoting smoother & healthier-looking skin. Studies have shown that with regular consumption, phytoene & phytofluene acts as a sun block, helping to bolster your body's natural defences against environmental aggressors for anti- aging, age-defying 100% natural protection. PhytoflORAL® harnesses the power of natural phytonutrients to whiten, nourish & protect your skin. Powerful Booster-Coenzyme Q10 It's an important antioxidant, helping to neutralise free radical damage--the main cause of aging--induced by UVB ray-absorption & other environmental stressors such as pollution & toxins. It helps repair skin damage, combats wrinkles & boosts collagen production. L-CysteineL-cysteine is an amino acid that boosts your body's glutathione levels, a vital naturally occurring antioxidant that depletes as you age. If you have any questions about this product by LIONE, contact us by completing and submitting the form below. If you are looking for a specif part number, please include it with your message.